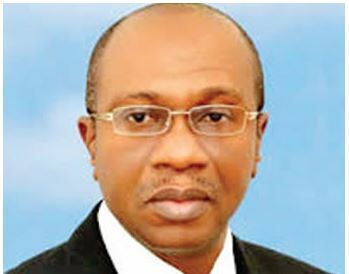 Police detectives have arrested three additional suspects in connection with the last week abduction of the wife of the Central Bank Governor, Margaret Emefiele. This brings to nine the number of suspects apprehended over the kidnap, which took place along the Benin-Agbor Road. Police sources informed our correspondent on Thursday that detectives of the Inspector-General of Police Special Monitoring and Intelligence Team, were on the trail of three other suspects. It was gathered that the operation, being led by the team leader, CSP Abba Kyari, was closing in on the other members of the 12-man kidnapping gang. Meanwhile, a retired Commissioner of Police, Alhaji Abubakar Tsav, has attributed the failure of policemen to prevent the abduction of a former Minister of Environment, Mrs. Laurentia Laraba-Mallam and her husband, Pius, to the preoccupation of the police with extorting commercial bus drivers on the Abuja-Kaduna Expressway. The couple were kidnapped on the Abuja-Kaduna Expressway on Tuesday in spite of the presence of 510 policemen on a special operation to foil kidnappings in the area. The ex-minister and her husband were later released on Wednesday. Tsav observed that the security operatives were not well supervised, noting that for the men to be effective and curb incessant kidnappings along the road, they had to be under proper supervision of senior officers. Tsav said, “The problem is that the policemen have neglected their duty and are more interested in extorting commercial bus drivers. They are more concerned with arresting commercial vehicle operators than doing the job they were assigned. The former Lagos CP challenged the IG to take the supervision of the men seriously, adding that their superior officers should be on the road to constantly ensure that the personnel were taking their job seriously.